I’m so excited to welcome my friend, Kelly R. Baker today. I knew from a very young age that God called me to the ministry, but grew up with a track record of being a slow learner of His ways. I finally stopped blaming hormones and embraced His call, including writing. I love leading others into God’s presence and freedom found through Jesus. The acronym Daily Time is my mantra. It means: Determining Again I Live Yielded. Today I’m Maintaining Evidence. Having a daily time with God changed my life, but it didn’t start that way. You can sometimes drag wrong mindsets into your meetings with God, even if you grew up with a church as your home away from home. My parents became pastors when I was eleven and family devotions were a regular part of life. I would drag my petite-sized feet to those family devotions, dripping with dread every single time. My view of God was backward. I didn’t understand that God loved me no matter what. Firmly convinced in my mind was good behavior—or else. So when I grew up, I brought that same mindset into my daily time with God—or lack thereof. My life reflected the saying, “Rules without relationship breeds rebellion.” That rebellion brought me to a rejection of God as a young adult; I told God I wasn’t a Christian anymore. Thankfully, it was a short-lived backsliding. There isn’t time to go into the details today, but God delights in delivering prodigals. He removed the rebellion blocking the view of His goodness by giving me a fresh revelation: He still loved me if I rejected Him. I understood selfless love for the first time. That day I experienced the most gentle healing of my entire life. There was a sweetness in God’s presence. Accustomed to only feeling conviction instead, I marveled that this presence could be God. Since then I have desired to know this God of selfless love. My pursuit of Him thrives on having a Daily Time with Him. What is “Daily Time”? That’s when I’m fulfilling my mantra: Determining Again I Live Yielded. Today I’m Maintaining Evidence. When I grew up in the Church, I could tell you the ending to almost any Bible story. But the character of God was lost on me. As I daily dug into His Word, I began to find verses that describe His promises. Instead of solely looking for what I was supposed to do or not do, I learned the attributes of God. He helped me experience His character when I went through unfavorable seasons. Now I know God as constant in my life, not just hear Him called faithful by others. He continues to open my eyes to the evidence of different facets of His character as I walk with Him. I love it! ♥ Helping me see myself. The Bible is a mirror disguised as a book. I saw my foolishness in the book of Proverbs. 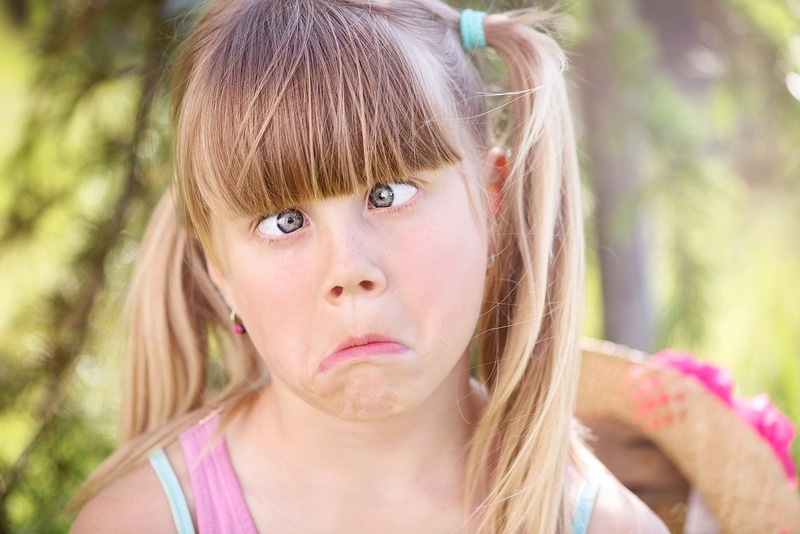 My unruly tongue came to light while studying the book of James. The disciple Peter’s impulsiveness hits close to home. Other people saw my shortcomings, but I grew up pridefully believing I am right and everyone else is missing it! Avoiding the truth of my sins and faults caused me to walk in deception. But applying His light to my darkness continues to transform me into His image. I embraced His working on me (Philippians 1:6). And since I’ve seen real changes in my character that reflect God’s nature, it’s easier to surrender to this process no matter how painful it is. ♥ Enabling me to discern my calling. Applying the Word of God results in spiritual growth and discernment. I matured enough that God saw fit to reveal my calling. I shared this exciting discovery with my spiritual mentors, and they confirmed that calling. That didn’t mean I suddenly launched into it! Oh, no. As I said, God continues to work on me. When He felt I was ready enough, He began to give me assignments within my calling. Throughout the years if I’ve ever pulled away from it, God brings it to my attention and invites me to walk in it again. No matter how much work in ministry I do, He reminds me that I will never “arrive” until Jesus comes back. Philippians 1:6 again! ♥ Gaining wisdom to train my kids. The same as many moms, I hold Proverbs 22:6 (ESV) dear to my heart, “Train up a child in the way he should go; even when he is old he will not depart from it.” Seeing that verse in the Word gives me hope. Whenever I am at a loss for what to do with my kids, I go to God in prayer. More often than not, the Holy Spirit will give me an idea or remind me of additional applicable verses in the Bible. Other times, He will lead me to talk to a particular person. When I follow through with that, the person He led me to will have the wisdom I need. Thank God for the body of Christ that helps each other! ♥ Not being my husband’s Holy Spirit. I picked up a devotional book geared toward marriage, and during my Daily Time with God, my eyes opened to the truth that I needed to work on me. Furthermore, the Holy Spirit made it clear that I had tried taking over His job. Ouch! I released my husband to God and asked God to show me how I needed to change. Maybe I was a quarter of the problem? Or perhaps a third? He responded, “Most.” Figures. Ha! Later I did a study on love and learned to walk in the powerful wisdom that love is a choice. It took a long time, but I saw our marriage transformed because God changed me. I’ve been a slow learner over the years, but I can affirm God’s way is the best way. You will find no higher satisfaction in life outside of God’s presence. Devour the Word every day and fill pages of newfound truths. Allow Him to transform your life to His ways. Thrive in Him and share His goodness! Do you want to taste and see that the Lord is good, too? Take time with Him daily! If building the habit of spending time with God every day seems unmanageable, I created the Daily Time Challenge just for you. Kelly R. Baker is a Bible study teacher, writer, and mentor. She serves with her husband in leading the worship ministry at their church. You will probably find her sneaking a bite (or more) of organic dark chocolate in between wrangling her four kids. Her greatest passion is helping others seek God daily and thrive in spiritual growth. Connect with her at Kelly R. Baker. 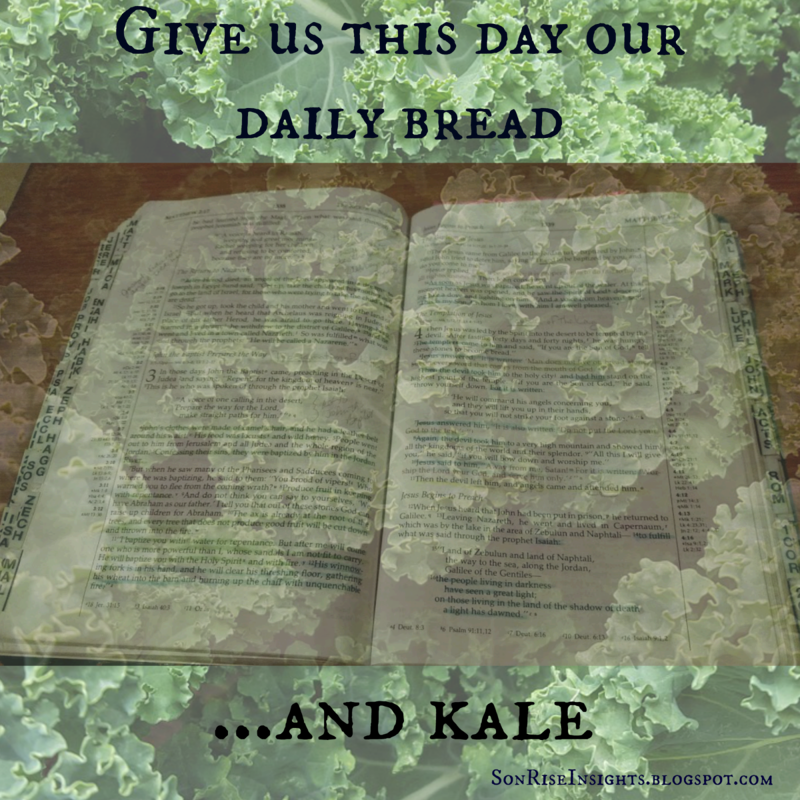 How is the Bible Like Kale? Do You Know? Today’s guest post is by my friend, Mary Flaherty from SonRise Insights. I’m so glad she’s here. Please make her feel welcome. Mary has a quick wit. She loves nothing more than laughing and encouraging those around her to join her in a good giggle. I love finding the humor in the daily. Life is funny, full of quirky twists and turns that are best handled with smiles. A big thank-you to Mary for sharing her love for the Lord and His Word with us. For adding an encouraging smile to our day. Remember when kale was for decorative purposes only? When I was younger, kale was only found in deli cases as that curly green border between cold cuts and salads, or in a restaurant, on your plate as a garnish. No one actually ATE kale. I’m pretty sure it was grown simply for garnishing and decorating. Then it became a “superfood.” (Was the word, “superfood,” even a word before kale become one?) Suddenly, everyone wanted kale. People raved on their Facebook posts about how they made homemade kale chips. I tried to understand, but I felt like a six-year-old kid missing the punchline of an adult-themed joke. Yummy and kale just didn’t seem to go together for me. Chips and kale most certainly didn’t. Until I decided to start eating healthy. That’s right. I said I buy kale. I didn’t say I eat it. I try to hide it among the romaine lettuce in my salad, but I still know it’s there. I add it to soups that already have plenty of other ingredients in it. I put it in my nutritional shake so that I don’t have to physically eat it. It may be good for you, but I still don’t like it. It’s bitter. The thing is, I know it’s really good for me, so I eat it. And I’m actually beginning to like it. My bible is a lot like kale. The first bible I read was the one on the family bookshelf when I was a kid. It was big and bulky, but it had some pretty cool illustrations. I tried to read it like a book–you know–front to back. Consequently, I knew a lot about Adam and Eve, and not much else. It was a decoration, like the kale in the deli case. It looked nice on the shelf, but what other purpose could it possibly have? After all, we went to church. What did we really need the bible for? Then I grew up, had children, and became more interested in this whole God thing. The minister of the church I started attending gave me a bible. I thought that was a kind thing to do, but it still didn’t interest me too much. I hid it among the other books, like the kale in the salad. I’d occasionally read other sections besides Genesis, like the gospels. I knew it was good for me, but I still didn’t care too much for it. I tried to like it, but I found it boring. And sometimes it left a bitter aftertaste in my mouth. religious things that sought to offer me peace. Then I started to “eat” healthy. I met Jesus in a personal way, and suddenly, I began to long for the “kale” of Christianity. I had a lot of problems, and the more I read, the more I learned, and the more I learned the healthier I became. I began to apply the principles I learned to my life, and my life started to change. I was ingesting God’s superfood. My bible was no longer a decoration, but a declaration: a declaration of God’s love for me. When I discovered how good the Word of God was for me, I actually started enjoying it. I love God’s Word. I think back and wonder how I ever thought it was boring and bitter tasting. I wonder if I will ever feel that way about kale. Bio:Mary Dolan Flaherty is a quirky gal who loves to make people laugh. She loves the outdoors and anything chocolate chip mint. She and her husband, whom she affectionately calls Hubbles, just finished hiking the New Jersey section of the Appalachian Trail. Mary writes along the humerus as the funny bone in the body of Christ at SonRise Insights. She can also be found on Facebook, and Twitter: @SonRiseInsights.